Don’'t expect the Democrats to pick up the issue, however, in red states where Senate candidates are already on shaky ground. Since the Democrats have pretty much avoided mentioning gun control since 1994, when the Republican takeover of the House of Representatives was largely (though mistakenly) credited to the National Rifle Association, the party can’t complain too much about Chris Christie’s veto last week of legislation that would have cut the number of bullets allowed in a magazine from fifteen to ten. Hardly a radical goal, but one calculated to win Christie support from Republican voters in 2016 primaries. But when Christie gets his questionnaire in the mail from Mike Bloomberg’s Everytown for Gun Safety, he can safely answer it in such a way that warms the hearts of NRA supporters and their government-hating, gun-totin’ friends in the Tea Party. As America geared up for celebrating our Independence Day, New Jersey governor Chris Christie did something very American: he stood up to gun-grabbing tyrants. While the Tea Party has soured on Chris Christie (for some very good and obvious reasons), let’s give credit where credit is due: this was the right call from Christie. 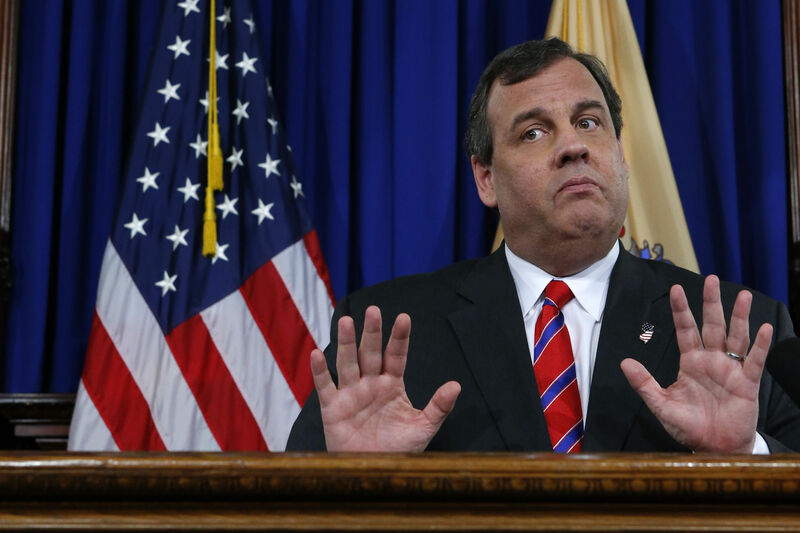 Of course, this is not enough to earn him any true Tea Party support for a presidential bid (not by a long shot), but Christie’s actions prove what many Tea Partiers have long contended: that Chris Christie is the right Republican for New Jersey…and he should stay there. The governor’s action today can best be described with the words used in his own veto statement, “difficult choices are brushed aside [and] uncomfortable topics are left unexplored.” I would imagine this is a very uncomfortable topic to [discuss] with conservative voters in Iowa and New Hampshire. High-capacity magazines have no purpose other than to kill as many people as possible as quickly as possible. They do not belong on our streets. The governor’s veto is an insult to the families of gun violence victims who have fought to make sure that others did not have to suffer as they have. His veto is an insult to our residents who deserve additional protections. “I think it’s a step in the right direction for Governor Christie,” said Sam Cohen, vice president and CEO of Pro-Gun New Hampshire, whose state holds the first-in-the-nation presidential primary. Cohen’s group last year warned Christie that it was watching him closely, and advised him to veto four gun control bills Democrats sent him. Ultimately, Christie vetoed the two most strongly opposed by gun rights groups, and signed the other two. Fox News, reporting on the Bloomberg Everytown campaign, quotes an NRA leader saying that Bloomberg is “just the latest incarnation of a long line of anti-freedom billionaires who’ve tried to take on the National Rifle Association.” Actually, there haven’t been that many billionaires, anti-freedom or not, who’ve done anything at all about guns, so Bloomberg deserves credit for what he’s doing. Sadly, if the Everytown effort has any success at all, it may come in the form of eliminating a few Democratic incumbents here and there, in rural, pro-gun states and districts, who decide to challenge the NRA and create an opening for their Republican challenger.